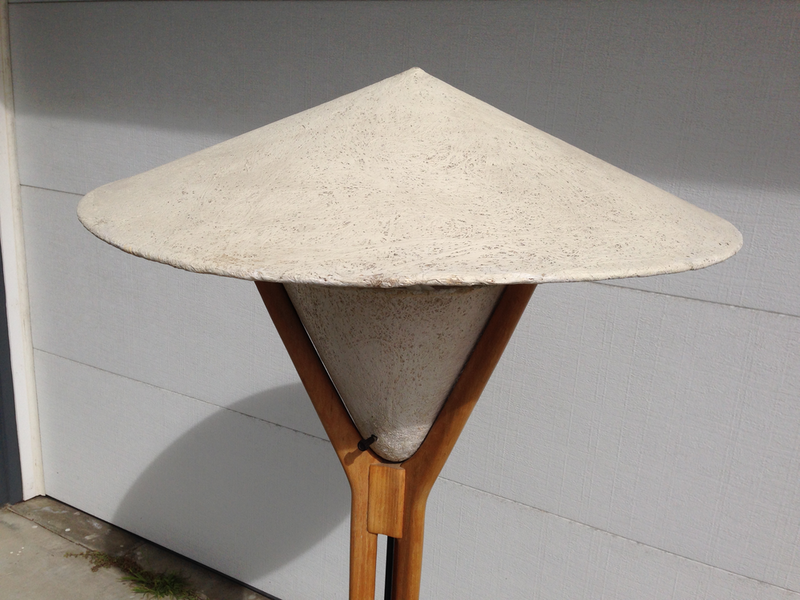 Rare and distinctive Mid-century reflecting floor lamp, with fiberglass shade and socket cup. Beautiful, sculptural oak tripod base with black lacquered steel tube housing wire. Circa 1960s. 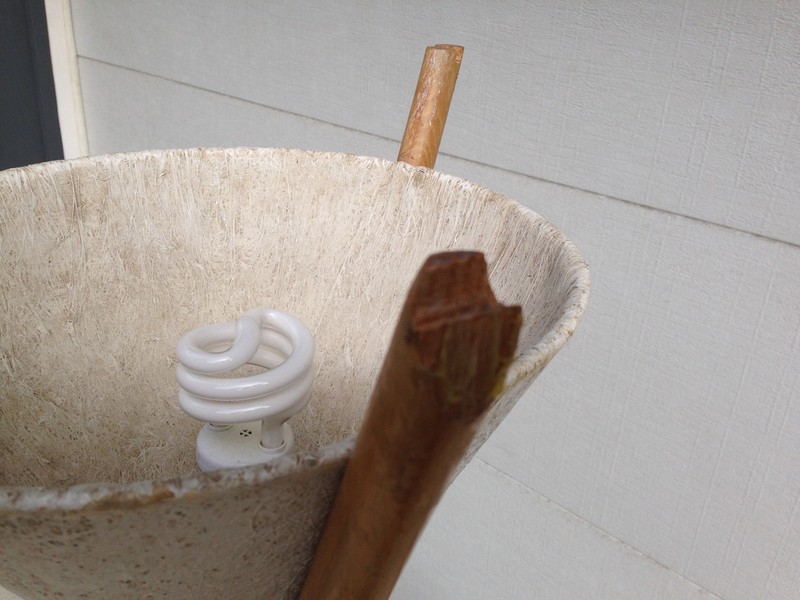 Has a couple of dings to the top of the shade holder that are invisible when the shade is on. (See pictures). Other than that very minor issue, the lamp is in wonderful original condition.